As criticality of use ratchets up on injection molded products and devices, plastic components are expected to perform to stringent quality and regulatory standards. Scientific molding is the precision solution to today’s complex injection molding challenges. It relies on material science to delve into the intricacies of every stage of the injection molding process, unifies their interaction and, using instrumentation, records data and parameters so the manufacturing process is easily replicated across production runs and equipment. The result? Complex injection molded plastic components of the highest quality that meet end-user expectations and drive competitive advantages for OEMs across many industries. 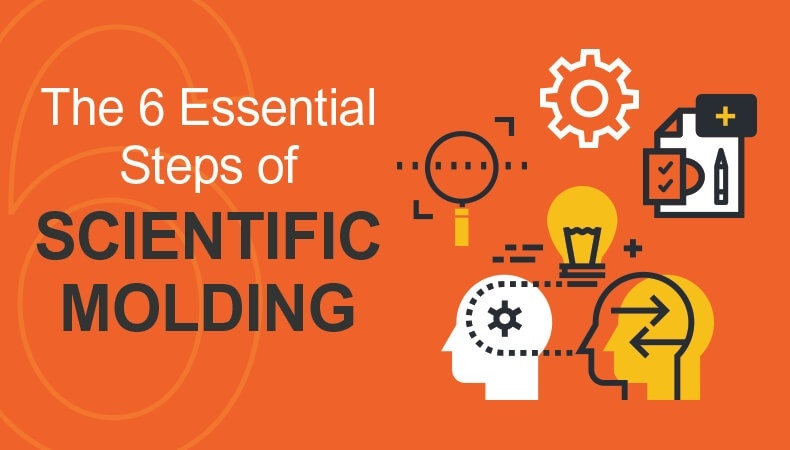 While thorough, comprehensive and unique to each critical-use application, the scientific molding process can be broken down into six steps that highly specialized engineers use to execute it. Review and recommend. Upon review of the initial part design and its complexity, the molder recommends scientific molding, if appropriate, to the OEM. Applying scientific molding principles requires that engineers possess specialized knowledge and training. Not every injection molder has this skillset or appropriate equipment, and therefore, cannot provide scientific molding options to OEMs. Design part and tooling. Scientific molding is dependent upon data. To accurately gather information throughout the process, both the part and tool must be designed by specially trained engineers to accommodate scientific molding sensors (which are usually located behind ejector pins). Build tool. After part and tool design is completed and initial specifications are approved, the first iteration of the tool is constructed. This tool is rigorously tested to reveal errors and necessary refinements. Establish process window. Testing the tool is at the heart of scientific molding. Specially trained engineers perform a series of hypotheses and tests—known as a Design of Experiments (DoE)—to determine the key parameters (flow rate, mold temperature, melt temperature, filling pressure, packing pressure, etc.) that will produce optimal injection molding outcomes, and how those parameters must be consistently applied in production (the process window). Move to production and monitor. Once the process window is established, full scale production may begin. The process window is closely monitored and remains constant during production. Maintain. Proper machine and tool maintenance (cleaning surfaces and sensors, etc.) prolongs tool life, ensures adjustments are minimal and is critical to preventing downtime or defective parts. Successful scientific molding is dependent upon experienced engineers, like those on the Kaysun team, adhering to these essential steps, and having the expertise to optimize the process window for your specific project. Find out more about how to improve your ROI in our SlideShare presentation, The ROI of Improved Project Flow: How Injection Molders Impact Outcomes. Click the button below to download your free copy!